The tiny one-year-old had been hit in the face by shotgun pellets and suffered a painful broken jaw and gaping hole in the roof of her mouth. After several surgeries, Margot recovered, but as a result of the terrible early injury, her bite is off on the right side. She must place food carefully on the left side where she can chew it well. Despite her difficulties, Margot is now seven years old, one of Sanaga-Yong's sweetest chimpanzees. Seven-year-old Margot was confiscated during the arrest of her captor in February of 2011. The tiny one-year-old had been hit in the face by shotgun pellets and suffered a painful broken jaw and gaping hole in the roof of her mouth. After several surgeries, Margot recovered, but as a result of the terrible early injury, her bite is off on the right side. She must place food carefully on the left side where she can chew it well. 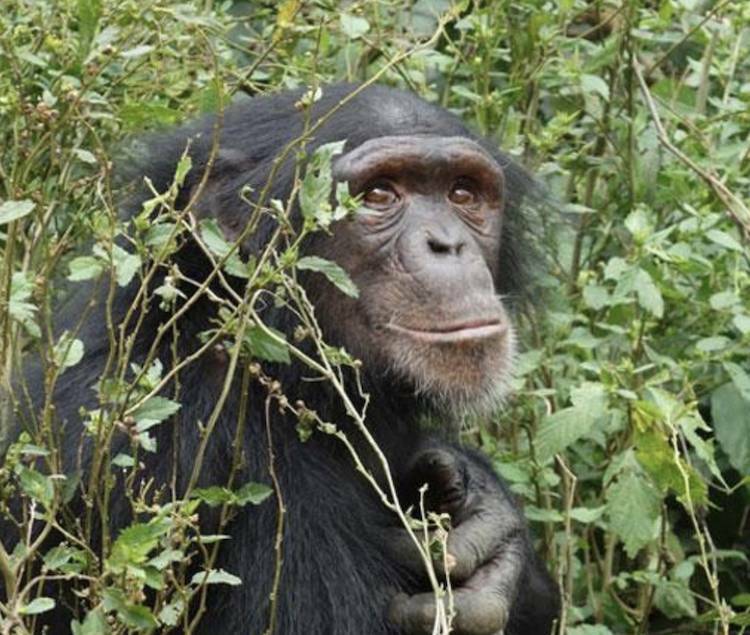 Despite her difficulties, Margot is one of Sanaga-Yong's sweetest chimpanzees. She lives in a social group of nine, plays a lot, laughs easily, and is always ready with a hug for a distressed friend. Like Sanaga-Yong's 72 other residents, Margot was orphaned by poachers supplying the illegal bushmeat and live infant trades. By providing permanent sanctuary for confiscated orphans as well as information and necessary technical assistance to authorities, In Defense of Animals - Africa’s Sanaga Yong Chimpanzee Rescue provides an essential component for law enforcement. Without a sanctuary for confiscated orphans there can be no arrests, prosecutions or convictions of illegal traffickers. You can make a difference for chimpanzees like Margot! Please donate now so we may continue our life-saving work.